We are all over in Eastern Mediterranean and the Aegean Sea with marine technical yacht services, either periodical winter maintenance or a sudden repair should be carried out. 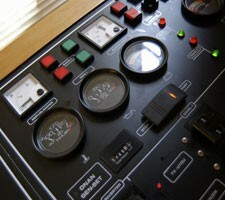 we recommend routine check ups and maintanence each and every beginning of the season. Generators, main engine, carpentry, painting, upholstery, electrics and electronics, Fresh water makers, Sea water pumps, batteries, evaporators, air conditioners etc. Most yacht owners prefer to dry dock their vessels in marinas to carry out hull maintanence and surveys to change zinc plates in order to avoid seawater electrolysis destroying the propulsion systems and metal parts under the water. without a regular, periodical maintenance and yacht services, due lack of maintanence yachts may encounter numerous troubles during the season when you need peace of mind and waste your precious time in vain. Akasia yachting with an experienced team of experts in marine works, can help you solve your problems either periodical winter maintenance or any other unexpected troubles during your summer while cruising. just ring us and we make sure your problems are solved. 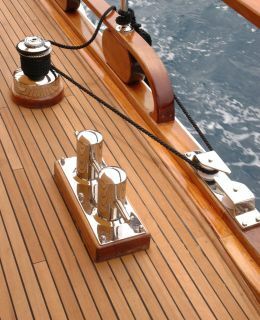 The quality craftmanship in wooden furniture s are the most important part of a glossy interior, we cannot imagine a yacht which would not need a carpenter either built of good old carvel planking system, epoxy laminated wood, steel, GRP composite or even ferrocement. 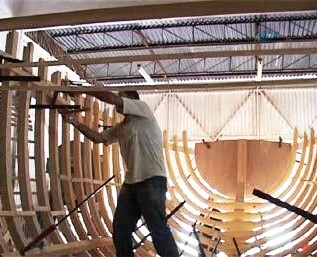 either new construction or routine winter maintanence to an aged wooden yacht, replacement of rotten frames, plankings, changing Teak decks, interior bulkheads or furnitures can be rearranged. 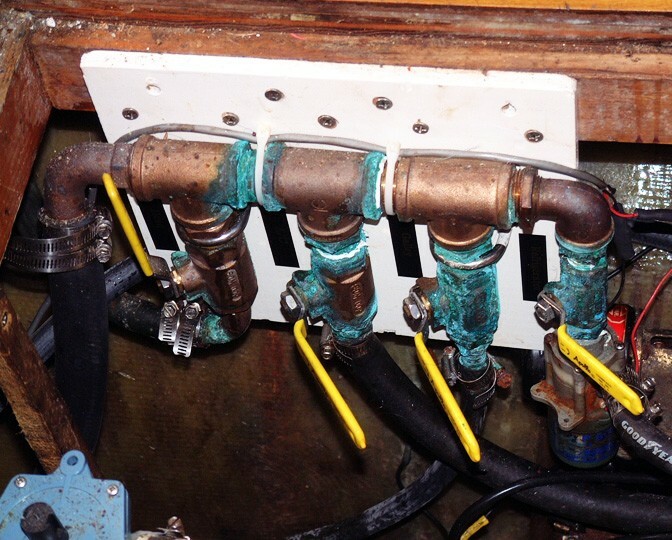 Due to high humidity and corrosion caused by the sea water, yachts always need a general cleansing and sometimes certain parts replacement in their electrical systems. many electronic devices suffer heavy corrosions when not in use and not ventilated regularly during long wintering periods and potentially or naturally gives you surprise headaches if not checked and verified before the beginning of each and every season. Dacron, Spectra Or Kevlar Sails, Onboard Repairs. We can help you repair and solve any problems with experienced sailmakers that can fix your sail problems as well as rigging troubles with your sailing yacht. Regatta experienced protailor made sails can radically improve your sailing performance and we would be happy to assist you with your Dacron, spectra or kevlar made sails either custom built according to your riggings or simply repair of your already used sails. it is very important to have adecuate fabrics and quality upholstery on board such as Tents, shades, curtains and sun beds with durable marine type ultraviolet resistant fabrics. we can help you carry out renovations with sunbeds, transparent shades pear shape styrofoam filled seaters, sunbed covers, curtains, carpets and linens and bedcovers as well as any kind of upholstery repair and reconditioning with high quality, fire retardant stain proof washable, ultraviolet resistent fabrics in custom made designs with experienced tailors and very competitive prices. 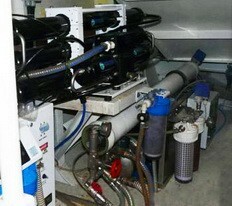 Air conditioners are a must with a generator on board yachts, either for chilled fresh air or warmth required these cabin based individually designed marine type Airconditioners are always on demand, the quality compressors and pipe line makes a difference, worry free maintanence free and a long lasting air conditioning system. We have long experience in custom built air conditioners on board luxury yachts such as Chiller system, split system or Package system marine air conditioners for each and every cabin or department on board as well as tailor made deep freezers and refrigerators when the standard size freezers and refrigerators are not suitable, our custom made cooling devices are built with highest quality parts and pipes which comes with 3 years guarantee and periodical winter maintenance is given for free during this period. KOS AIR Marine Airconditioners are entirely our own production, built with many years of research and materials choosen from the world best brands in order to offer worry free, reliable, silent, without vibration and not no forget most economical air conditioners with non stop guarantee and company feedback which means you are in safe hands with us. 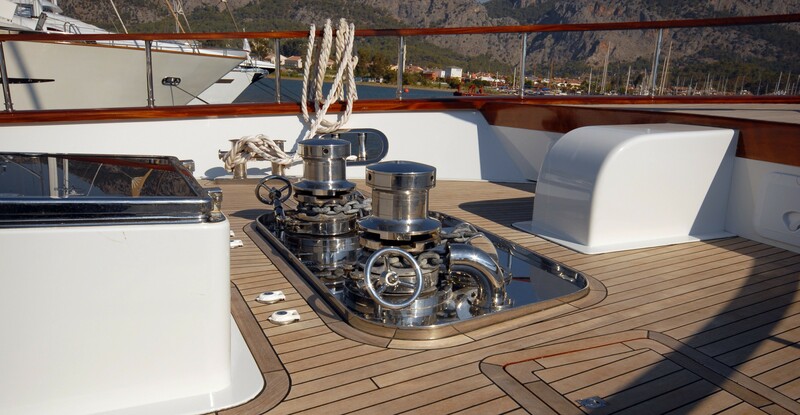 One of the most important issues on board happens to be marine pipes and professional plumbers in order to make sure that liquid transfers are carried out without slightest troubles. The quality of pipes , joints and valves has to be corrosion free, resistant to sea water electrolisis and rustfree to make sure that our customers enjoy long lasting fire systems, fuel transfer systems, hot water cold water systems. Akasia yachting yacht technical services provides an ongoing maintanence and complete yacht repair service with a team of capable electronic, electric, mechanic and hydraulic technical services department for any kind of onboard repairs, winter maintanence and/or general overhauling. Our on hand experienced technical services can fix any trouble with your main or auxiliary engines, electricity, electronics, carpentry, sails, upholstery, watermakers, Marine type air conditioning together with general shore assistance yacht technical services and spare parts supply in the mediterranean. We arrange yacht mooring services as husbanding and handling agent. 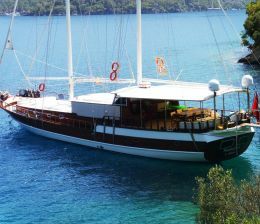 as well as customs and inward, outward clearance, Transit fuel arrangements for megayachts, poweryachts and foreign flagged yachts in Fethiye, Gocek, Marmaris or Bodrum. Akasia yachting provides superior quality yacht supply services with competitive prices to local and foreign flag yachts and International yacht charter operators in the Mediterranean Yacht Brokers Association standards. Our experienced multilingual staff would be more than happy to assist you in everyway either a local workshops for yacht technical services or an international spare part supply within shortest time available. We Offer our marine type central airconditioning system or individual package called KOSMARINE which is built to last using the highest quality compressors and pipes, no wonder why we offer 5 years warranty and seamless cool and hot air on board for many years to come. Wintering in Turkey has numerous advantages, Yacht technical services and winter maintanence in Turkey has several advantages over the neighbouring mediterranean countries, ports and marinas with yacht technical services, superior quality craftmanship, cheap labour and experienced technicians. such as carpentry, gas welding, stainless works, painting with iqual or superior craftmanship is much more convenient and due to shorter winter months and sunny weather conditions, preparing the hull and painting, varnishing are more favourable than most mediterranean countries. 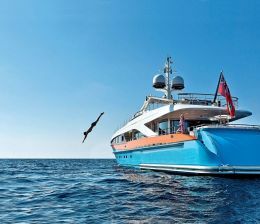 The european yacht owners in general has to calculate an annual expenditure of 12 to 17 percent of their boats face value while these expenses are only 3 to 7 percent in Turkish marinas and wintering places which are always safer and are built in easily accessible areas or very safe coves. we propose you wintering in Turkey so that you may relax and enjoy splendid weather while preparing your boat and afterwards you can easily reach the best mediterranean holiday and charter destinations in a heart beat.